Denon has revealed preliminary details on its new home cinema range for the 2008. The new models are a 'statement of intent' for the Japanese AV specialist. 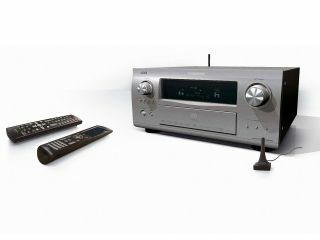 Denon says all of its new products will be 'high-def format neutral' and will offer better sound quality, ease of use and connectivity. Denon is also showing off a new version of its massive pre/power AV combo, the AVP-A1HD AND POA-A1HD. The £10,000 two-box set has all the features listed above, but can deliver 3,000W of power into 10 discrete audio channels. There are no more details yet, but we do know it's launching in October.